So you're wandering through the natural foods store, pushing your paleo-food-filled cart around, and you think to yourself "you know what would be really great? some dried fruit!" So you wander on over to the nuts and berries section and grab yourself a nice helping of dried cranberries. Cranberries are paleo right? Not when they are pumped full of sugar and sunflower oil! That's right my friends, most of those dried fruits have a bunch of additives that make them off-limits to us paleo folks. Even at the natural foods stores, those fruits are co-mingling with some unwelcome guests. And don't even get me started on roasted nuts. Regular "roasted" means fried in oil. Dry roasted is better (like being baked in an oven), but that is sometimes harder to find. This brings us to the importance of reading labels. The good news is that because you are not eating processed foods anymore, you wont have to worry about ingredients as much, but it is still important that you know what you are eating. It is actually pretty gross when you start to read ingredients and realize what sort of stuf you were putting in your body before. There are hidden sugars, soy, chemicals and oils in so many things, even those things that are labeled as "healthy" or "natural". 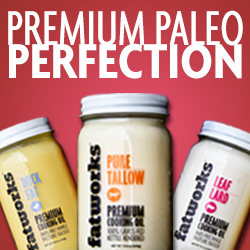 I have seen even seen things labeled as "paleo" that have milk and whey in them! If you are buying something that is in a package, even if it is produce, take a second to flip it over and check out the ingredients list. A good rule of thumb is, if you can't pronounce the ingredient, it's probably best you don't ingest it. Where can I find dried cranberries without sugar? I have looked all over.